The Aquatics Director is responsible for the proper organization, planning, and operation of a sound aquatics program. Delivers excellent service and provides for the safety of all camp participants, guests, members and staff. The Aquatics Director must be prepared to act immediately and be prepared to enforce rules and regulations as they pertain to all aspects of water safety. Provides leadership in the development of aquatics programs, in harmony with Camp policies, objectives, and procedures. Trains the swimming class instructors and assigns them to class duties and assures that they are teaching safety and following an accredited YMCA or Red Cross lessons program and keeps accurate records of all participants. Train the lifeguards, on Camp Wapsie’s specific emergency procedures and practices rescue drills frequently. Instructs staff to direct any injuries to the their attention. Teaches or recertifies staff in lifeguarding. Teaches Water Safety and Emergency Water Safety to the LITs and CITs. Completes daily maintenance tasks and assures that proper PH and Chlorine levels are kept and that the pool is vacuumed 3 times a week or as needed. Inspects all pool equipment (slides, heater, diving board, ladders, pump, etc…) and assures that they are in safe working condition. Cleans pool deck and keeps it free from debris and clutter and all sharp objects. Organizes and coordinates schedule and staffing of any special swims including cabin swims or special events. They head a planning committee for one world service activity and one special day activity. Participate in all courses, activities, classes, training, and planning sessions during pre-camp. Supervise during the nighttime hours one of the leadership (CIT/LIT) groups as they are sleeping. Coordinate the distribution and collection of end of session evals for swim lesson participants. 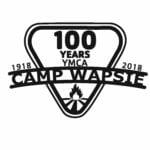 To participate and help in any all camp activity or any activity in camp when you do not have specific responsibilities at the pool.Maintain safety of participants as the first and primary consideration. Must have previous experience supervising a pool and must be familiar with swimming instruction. must posses a valid YMCA or Red Cross life-guarding certification, current Cardio-Pulmonary Recitation (CPR), and First Aid certification. Knowledge of the laws and ordinances governing the conduct of persons at swimming pools and knowledge of proper care for and maintenance of pool and pool area. Should have Water Safety Instructor certification and their CPO (Certified Pool Operator ) Certificate.